Today, I’m excited to bring you the beautiful Elegant Anemone Letterpress Wedding Invitation Suite. This navy blue suite features an elegant script complimented by a classic serif font. 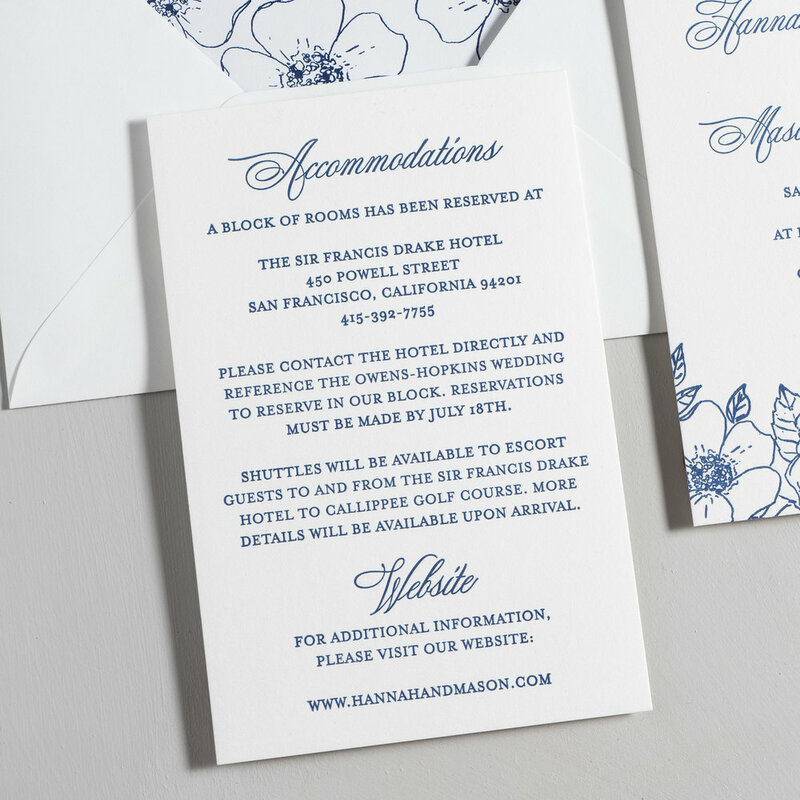 The letterpress printing creates stunning details throughout the anemone flower and leaves on the invitation design. The Anemone Envelope Liner matches the navy blue throughout the suite with a pattern of anemone flowers and foliage. 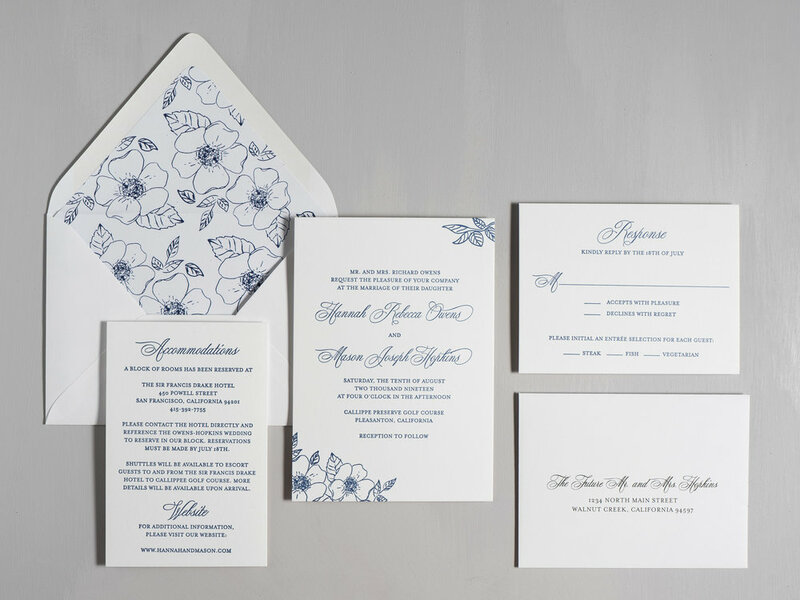 The Elegant Anemone Letterpress Invitation Suite has all matching day-of stationery for your wedding from save the dates, menus, place cards, thank you cards and anything else you may need to create a cohesive look for your wedding day.